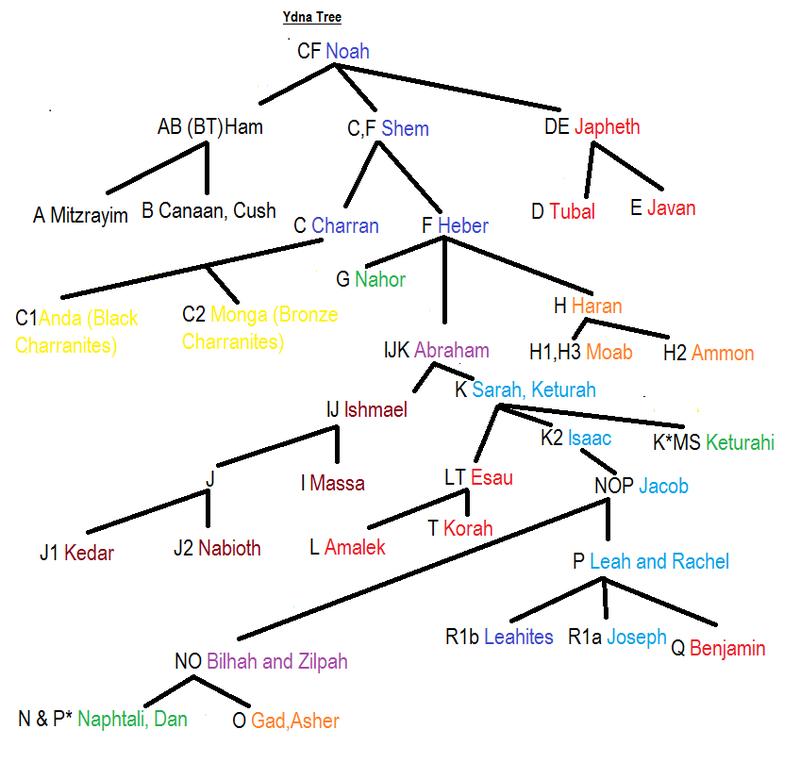 Recently I have been reflecting on the latest y-dna charts of R1b L21 to which R1b M222 belongs and the Davidic genealogies which I have been researching and studying for nearly 40 years. Different studies led me to the conclusion that Joseph of Arimathea or his son may have been the founder as well as ancestor of M222 rather than High King Niall of the Nine Hostages of Ireland. However as further research has progressed I think that the original idea that M222 began with Niall or his father or grandfather to be closer to the truth. It is from Niall's ancestor Nuadh or Nathan (Nahori) the Fisher Lord of Glastonbury (b.115 AD d. 171 AD) the son of Rabbi Meir that M222 seems to originate. His son went to Ireland and was known as Mar Eoghan (Ugaine Mor/Johannan/Angus Og) King of Munster and was the founder of the Irish M222 clan and was the ancestor of Niall of the Nine Hostages. The Southern English branch of M222 came from Nuadh's sons who remained in Britain. 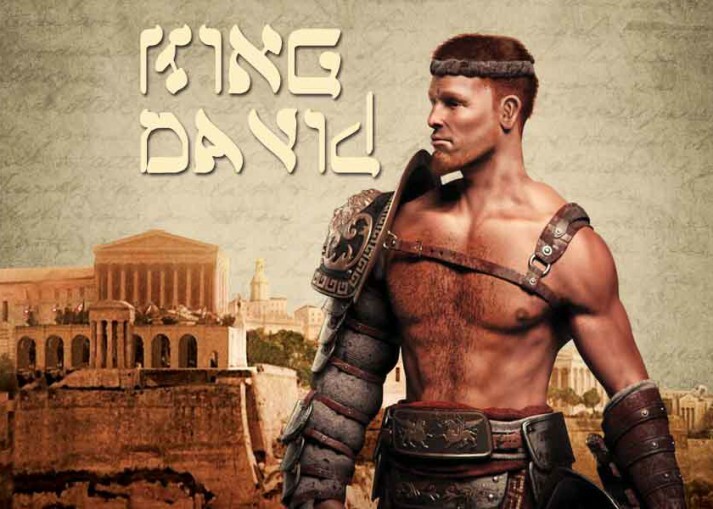 These Jewish and Jewish Christian descendants of the House of David were known as the Nasiim and Exilarchs (Rosh Golus or Gulectic) but were later remembered as Kings as they had a political-religious function. The first British historian Gildas wrote that in the 5th century after the end of Roman rule in Britain the practice of the anointing of kings occurred. Many of the early British kings were referred to with the name of Gulectic or Wledig which comes from the Jewish word Galuta or Golus for exile. In English we say Exilarch for the Hebrew Rosh Galuta or Rosh Golus. This is also the orgin of the name of Glastonbury or the Isle of Glas (Golus). Nennius refers to the Overlord of the British as the Gulectic. 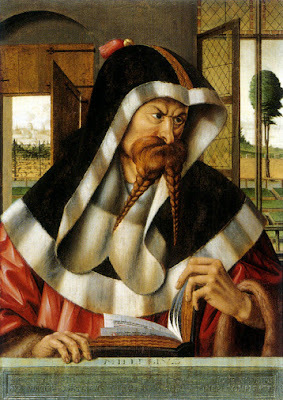 Thus these Judeo-Christian Exilarchs drew on the ceremonial of the Davidic King of the Bible with that practiced by the Babylonian Exilarchs in developing a unique Christian ceremony of the Anointing of Kings. Legends speaks of the French king Clovis receiving anointing in 493 and Adomnan writes of St Columba anointing King Aedan in 574. These Davidic Nassiim were honoured as possessing a special grace or gift of rulership by Jews, Christians and Muslims. 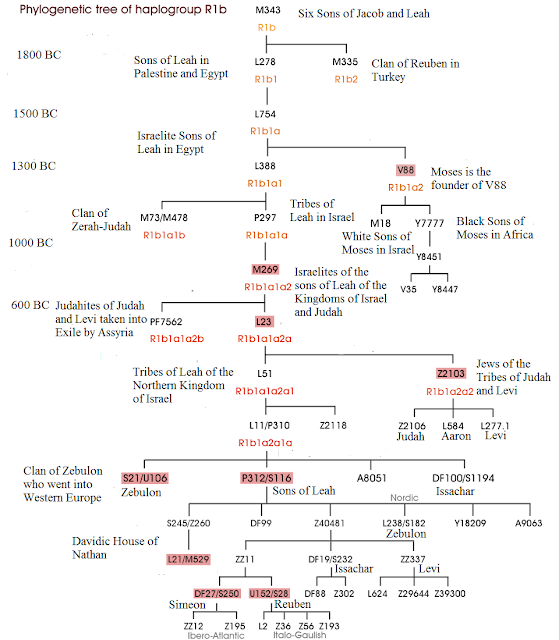 The Rosh Golus or Exilarch was selected from among the leading Nassiim or Princes of the Davidic lineage so an Exilarch held a higher position than a Nasi. St Joseph of Arimathea is the ancestor of R1b L21 DF13 Z39589 y-dna. 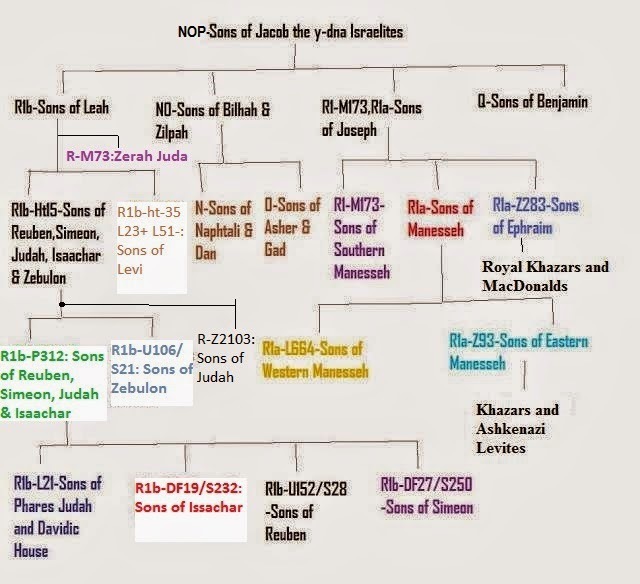 St Joseph of Arimathea is also the ancestor of those who descend from M222 but he belongs to R1b L21 which is the ydna of the Davidic House of Nathan. 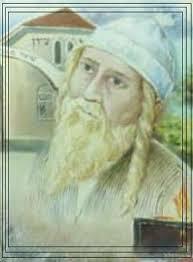 St Joseph of Arimathea was the British Jewish Christian Nasi or Exilarch (Rosh Golus) at Glastonbury in Somerset. Niall is a male line descendant of Joseph's great grandson Zerah (Adon Glas) the Lord of Glastonbury (the Glas or Golus Isle) the son of Nathan the Red (Nectan Ruadh/Nuadh Nect) who lived from 30 -90 AD who is recorded as an Irish High King (Ard Ri) but was in reality the Jewish Christian Nasi or Exilarch known as a Rosh Golus (Head of the Exile) or Dayag Adon (Fisher Lord) of Ireland (Erani/ Hibernia). It is thus likely that R1b L21 DF13 DF49 (ancestral or upstream of M222) began with Zerah Adon Glas of what would one day be southern England (south-west Britain). DF 23 may be the branch of L21 descended from Rabbi Meir (Meir Duach/Raibh Dearg) the Dagda (Dayag Adon/Fisher Lord) [b.99 d.162] and famous Rabbi related to Nero. He was not the grandson of Nero as told in Jewish legend but it was his great grandmother Julia Nero that belonged to the same Nero family as the Emperor Nero. The Royal House of Stuart are also descendants of St Joseph of Arimathea. Through the Dukes and Lords of Brittany the Stuarts trace back to Gabhran the Ruler of Dal Riata and all Britain and Brittany through his great-grandson Hoel Mawr Duke of Brittany. Gabhran or Gadeon was the son of a Jewish British Prince Huna Mar (Cunomor) who became a Babylonian Exilarch in the 6th century. Gabhran's great-grandson Hoel Mawr (son of Eochaidh Buidhe King of Dal Riata the son of King Aedan) was the founder of R1b L21 DF13 CTS658/DF41. All the later Babylonian Exilarchs descend from Huna Mar through Gabhran's brother the famous King Arthur Mor who was King at first of the Pennines and Goddodin before becoming the great British King Emperor. 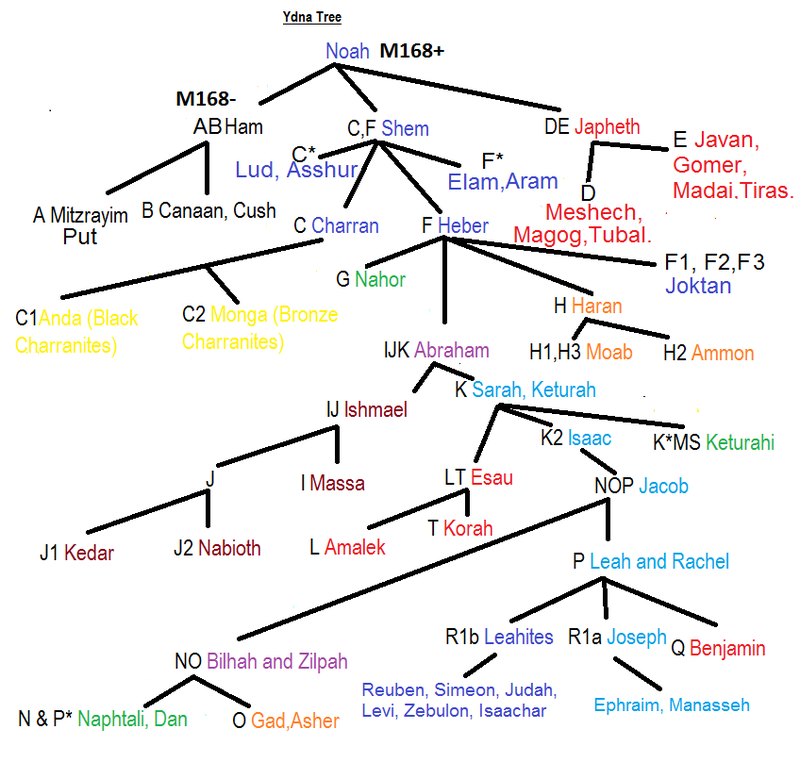 DF 21 haplogroup are most likely the descendants of St Joseph of Arimathea's brother Nathan ben Eli (Nascien/ Tenaufan/ Tasciovanus) King of the Regnoi and Catevaullani. He is the R1b L21 DF13 DF21 ancestor from whom King Caradoc of Britain b.78 descends and through him descends a long line of British Kings and Princes of Lud (Leudonia or Lothian) until Padarn of the Red Robe b.363 the father of Cunedda Wledig King of the North. Cunedda's grandson Enion Yrth King of the North was the father of Cadwallon Lawhir King of Gwynedd in North Wales in the 5th century. From Cadwallon descended Rhun Hir and his son Beli ap Rhun Hir. Beli's son was Prince Hoel of Gwynedd whose son was Judcael ap Hoel the Duke or King of Brittany the father of Alain II Hir of Brittany. Alain II Hir's descendant was Morvan King of Brittany b.785 whose son was Wiomark the Count de Leon and the de Leon family was the ancestor of Roger de Leone whose descendants were the Lyon Lords of Glamis in Scotland. The Lyon family belongs to the DF25 branch of DF21 of L21 y-dna. The DF21 clan is associated with the Damnoni of Scotland, the Dumnonii of Cornwall and the Domnones of Ireland. King Aedan of Dal Riata and High King of Britain's grandson Domnall or Donald Brecc King of Dalriata is most likely the ancestor of R1b L21 L1335 ydna. Through Aedan's son King Eochaidh Buidhe of the Dal Riata Scots descends King Alpin of the Picts the father of Kenneth I Mac Alpin King of Scots and Picts. 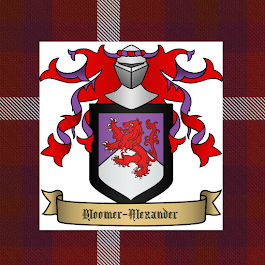 The MacKinnon and Buchanan Clan founders descend from the two sons of Constantine III (Kyan/ Kinnon) King of Scots (Alba) Anselan O Kyan and Findanus MacKinnon. The Welsh branch of L371 of R1b L21 may descend from King Aedan's son Arthur who was also a King of Gwent as well as a Dal Riatan Prince. This Dal Riatan Arthur and King Arthur Mor have been confused in the legendary tales of King Arthur. Arthur Mor's son Amr (Mordred/ Nowy) was probably the founder of R1b L21 DF13 S470/Z251. It is from King Arthur Mor through his grandson Mar Ithiel (Ida of Bernicia) of S11556 that the later Babylonian Exilarchs and the Jewish Kings of Septimania in France descend on the direct male line. The Danish Royal House of Oldenburgh descends from him via the Exilarch family that went to Barcelona in the 10th century (of FGC11986). 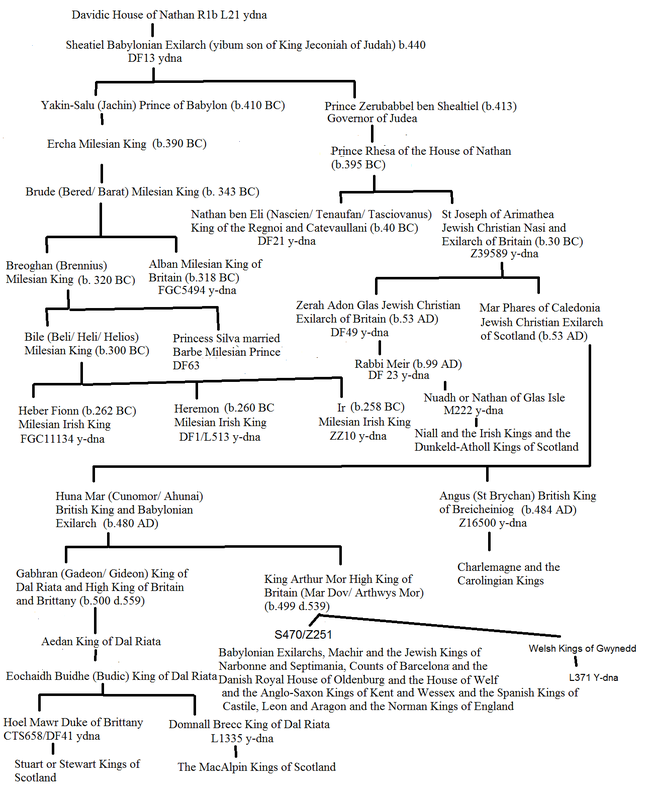 The Norman Kings of England descend from Machir Theodoric the Jewish King of Narbonne through his eldest son Mar Menachem (of Z18092) who was also known as Hernaut and Harald who married the Danish heiress Hilda. These lines also trace back to Nathan the Red of Ireland through his other son Mar Phares of Caledonia who was the first Jewish Christian Nasi or Exilarch (Guleta/ Guletic) of Scotland (Scotti/ Caledonia/ Alba). The Carolingian Kings and Charlemagne are also direct male line descendants of Mar Phares via Angus (Anlach/ St Brychan/ Banlach/ Ban) King of Breicheiniog in Wales the brother of Huna Mar and father of Lancelot. The Welf or Guelf family of Queen Victoria also descends from the Jewish Exilarchic family in Barcelona in the 10th century. Both the House of Oldenburgh and the House of Welf-Este descend from Mar Barzilay of Barcelona on the direct male line. The Spanish Kings of Castile, Aragon and Leon descend from Machir Theodoric the Jewish King of Narbonne through the Counts of Burgundy from his eldest son Mar Menachem (Harald Hildetonn/ Hernaut de Gironde).The Carolingian Kings may be of the Z16500 branch of R1b L21 ydna. The Anglo-Saxon Kings of Kent and Wessex descend from Athelbert King of Kent (d.616) of FGC13899 a grandson of King Arthur Mor. Z16943 descends from another grandson of Arthur Mor who is possibly the ancestor of the House of Savoy. Many of the Welsh kings and princes descend from King Arthur Mor's son Beli (or Cunobelin) who was a King of Calalus after his brother Amr (Mordred). From Beli's son Iago (Jacob) King of Gwynedd came the Gwynedd Welsh Kings and from them branch off R1b L21 L371. Z16246 comes from the DF 63 branch of Milesian R1b L21 ydna haplogroup. They are a Milesian male line group. It is likely that DF63 are maternal descendants of Breoghan or Brennius who led the combined Gaelic and Celtic forces against the Greeks in the Balkans around 280 BC. It would seem that DF63, from which Z16246 descends, is from a son-in-law of Breoghan (Brennius) who remained in Europe as the leader of a contingent of Milesians that allied with the European Kelts while the other Milesians invaded Ireland and Britain. This was Barbe or Barbetruc a Milesian Prince descended on the direct male line from Allot the Milesian King who descends from Nathaniel of Jerusalem. FGC11134 haplogroup of R1b L21 is the branch of the Milesians descended from Heber who invaded Ireland with Heremon and settled in the south of Ireland. DF1/L513 is most likely the haplogroup of the Milesians descended from Heremon who invaded Ireland with Heber. 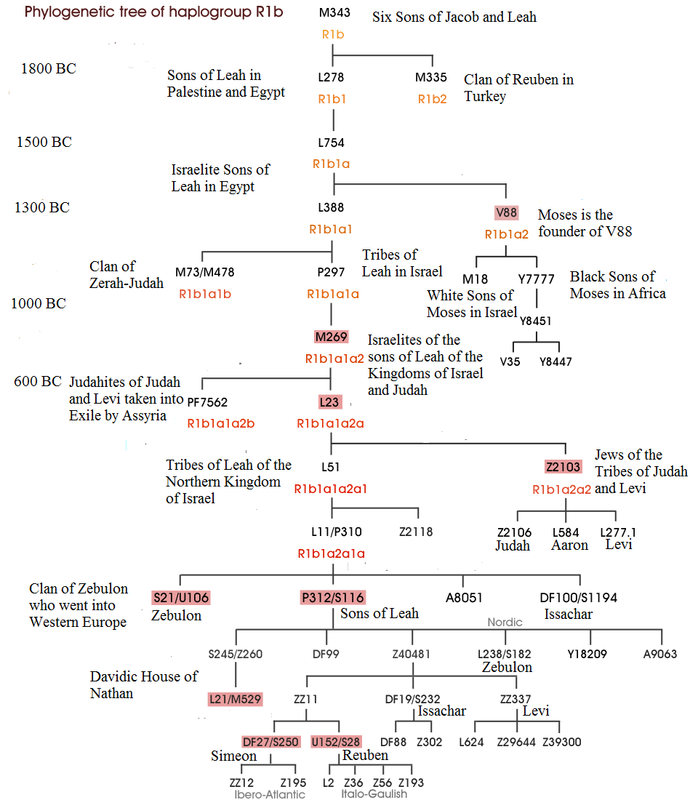 ZZ10 is most likely the clan of Ir of the Milesians. The socalled Dalcassians (R1b L21 ZZ10 L226) are probably descended from Conmac the son of Fergus MacRoy King of Ulster who has been confused with Cormac Cas the son of Oiliol Olum the King of Munster in the Irish genealogies. Conmac and Fergus descend from Olum Fodla and Ir. FGC5494 may be the descendants of the Beredi or Breoghanites who settled in Britain when the others invaded Ireland. S1026 may be the marker for those descended from Rafael V Exilarch of the Scotti. S1051 are those descended from Yair the Nasi or Rosh Galuta of Munster and his grandson Conn the King of Munster. Nice to hear from you Kevin as one of the Irish sons of Heremon- a truly proud Irish lineage. Of course almost all people in the British Isles would in some manner descend today from Heremon but you are one of the more select group of his direct male line descendants. My dating and working out of the haplogroups is based on the fact that I do not accept the evolutionary molecular clocks that are based ultimately on the evolutionist assumption that humans and chimpanzees had a common ancestor 5,000,000 years ago (which I do not accept). 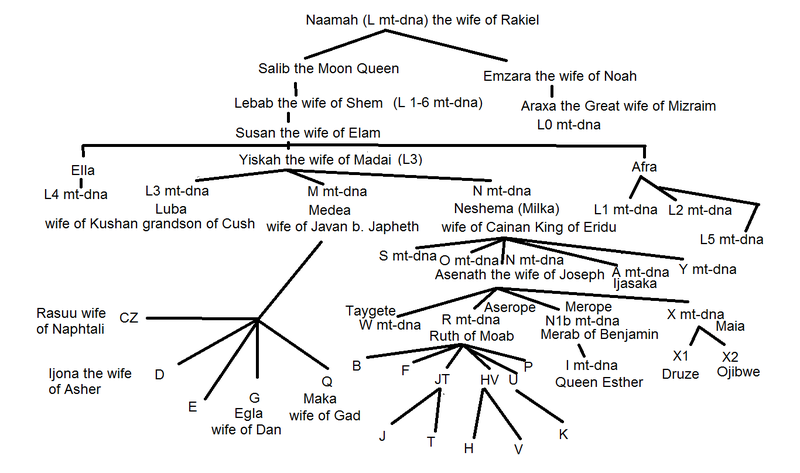 My dating and identification is based on a theory that all y dna comes from Noah who lived around 4,500 ago.